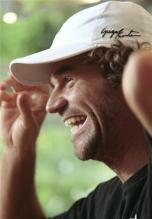 In this gallery you will find pictures of Brazilian tennis great Gustavo "Guga" Kuerten. 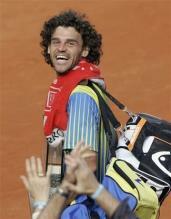 He won 3 French Open championships in his career and is retiring in 2008. 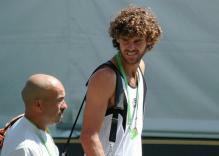 Kuerten was a former world #1 player but was hampered after 2003 by injuries. 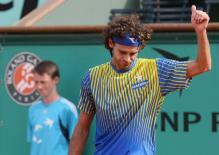 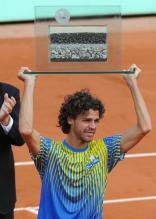 Gustavo joins Bjorn Borg, Ivan Lendl, Mats Wilander, and Rafael Nadal as the only other 3 time French Open champions. 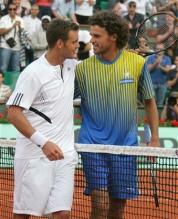 Gustavo Kuerten girlfriend is Carolina Salgado, a very cute and young.